"In Metro Nashville as of 2004, roughly 59 percent of students were minorities, with African-American (47.5 percent) and Hispanic (8.4 percent) being the most predominant." "Yet, nearly 60 percent of Metro teachers are white." "The shortage is partly a result of increasing opportunities for minority Americans to pursue other careers, according to Metro Assistant Superintendent of Human Resources Dr. June Keel." "'The most important thing in the education world is we find qualified teachers, regardless of race or gender,' Keel said. 'If we have an opening we will hire the best-qualified teacher that comes through our door.'" For students with previous Argentine Tango experience. moves and techniques of Argentine Tango. "A diverse coalition of Tennessee leaders began a statewide campaign Monday to strengthen the federal Voting Rights Act of 1965 (VRA), parts of which are soon up for reauthorization." "Components that combat discrimination and exclusion and guarantee procedures for citizens whose first language is not English are set to expire in 2007." "These protections should not be endangered, Fisk University Race Relations Institute representative Dr. Sheila Peters said at a meeting at Jefferson Street Missionary Baptist Church." "Bernie Ellis, organizer of Gathering to Save Our Democracy, said ... in the 2004 election black voters in Ohio had to wait an average of 52 minutes to vote compared to white voters whose wait averaged 18 minutes, and some votes in predominantly Hispanic and Indian districts were irretrievably lost." "Eighty-eight NAACP branches and college units will hold voting rights events in the coming months, and the First Amendment Center will host a panel discussion Sept. 16." The Tennessean reports that a confused Spanish-speaking traveler at the Nashville airport caused a temporary security shutdown when he attempted to enter the gate area through the exit lane of the security checkpoint. "A Nashville International Airport passenger, unable to translate his destination request into English, brought the airport and airlines to a screeching halt yesterday as authorities searched for any signs of security threat." "The chaos was sparked just before 6 p.m. when a passenger who speaks only Spanish attempted to walk through the exit lane instead of the screening lanes in Concourse C, according to spokeswoman Lynne Lowrance." "By 7 p.m., passengers were sent back through the security checkpoints and allowed on their flights." "After a lengthy interview with authorities, the lost passenger was rescreened and assisted to a flight that would take him to Raleigh, N.C., airport officials said." The article does not state whether the shutdown would have occurred if the traveler had been able to state his destination in English. The Nashville City Paper reported that Hispanics are taking the ACT in greater numbers - up 40 percent since 2001 - which indicates that more Hispanic students are considering the option of college. SAT or ACT scores are required by many colleges as a prerequisite to admission. "[W]hile Hispanic average scores have jumped point-9 in the past five years, the state gained point-5 and the national average actually lost ground." "Scores by Hispanic students are gaining more ground than any other ethnic group in the state, except Asians." 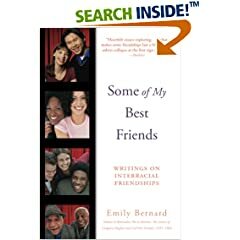 The Voice of America reviews Emily Bernard's book Some Of My Best Friends: Writers On Interracial Friendships. "The title of the collection refers to a phrase some people use to show how open-minded they are: I'm not prejudiced… some of my best friends are black, or Jewish, or whatever minority is being discussed." "In her introduction to the book, Emily Bernard -- who is black -- recalls that she always had white friends from the time she was a little girl growing up in Nashville more than 30 years ago. It was unusual then, she says, but today, young Americans are more open to interracial friendship." The book is a collection of essays. Among them is The Value of Things Not Said by Maurice Berger. "Maurice Berger had admired opera singer Shirley Verrett for years before finally meeting her in person. He says, 15 years later, she remains one of his best friends. 'Shirley is African American,' he says. 'This is a woman who grew up in the South in the 1930s and 1940s and had to sneak into the backdoors of restaurants with her father just to order a sandwich. I come from a Jewish family; my mother was a Sephardic Jew [from the Middle East]. My father was an Ashkenazi Jew [from Europe]. I grew up in up in a low-income predominantly Black and Hispanic housing project in New York in the early 1960s." "As their friendship grew stronger, they would talk openly about race and racism. Mr. Berger told Ms. Verrett about what he considered a family secret -- his mother's racism -- recounting his memories of the night civil rights leader Martin Luther King was assassinated in 1968. 'My mother said, 'He is a trouble maker,'' he recalls. 'I walked into my father's room and he had just heard the announcement on the radio, and he was crying. He said, 'This is terrible, this is a nightmare, this is a great man.''" "Mr. Berger says he eventually started to understand why his mother had such a racist attitude. 'I began to realize,' he explains, 'as I grew older, how much my mother's view of race was shaped by her own disappointment at being poor, at living in a housing project with people whose skin was as dark as hers and not wanting to be associated with, you know, poor people of color.'" The book was the subject of a Nashville Scene article in 2004. Dwight Lewis: stop calling Hispanics and blacks a "minority"
"What is a minority group? And why do so many media organizations, and individuals as well, use the term 'minorities' when they're talking about blacks, Hispanics, Asians, American Indians or Pacific islanders?" Lewis points to recent reports of "minorities" having a combined representation of over 50% of the population in Texas, Hawaii, New Mexico, California, and the District of Columbia. "Perhaps I am too sensitive, but I don't like the term minorities or minority groups." "I haven't liked it since I heard the Pulitzer Prize-winning poet Gwendolyn Brooks speak to a group of inmates at the Tennessee State Prison for Women in Nashville several years ago." "'When you use the term minority or minorities in reference to people, you're telling them that they're less than somebody else,' said Brooks, who won a Pulitzer Prize in 1950 for her second volume of poetry titled, Annie Allen." "'Don't let anyone call you a minority if you're black or Hispanic or belong to some other ethnic group,' added Brooks, who died in 2000. 'You're not less than anybody else.'" "Fine anyone who employs an illegal immigrant big money and pursue this as vigorously as we pursue those who evade taxes. We will find that many of these illegal immigrants will be unable to find work." "If we do not provide them free health care beyond true emergency care, food subsidy or any other social help given to our citizens, the flow of illegal immigrants across the border should drop off dramatically." The Nashville City Paper reports that Tennessee Senator Bill Frist visited Nashville recently and identified four primary areas of discussion among his constituents, three of which conveyed a fear of international threats. Apart from rising health care costs, Frist said Tennesseans want to talk to him about the loss of local jobs to international competition, terrorism in the name of Islam, and immigration. Frist linked immigration to the two other perceived threats, job loss and terrorism. The movie Cronicas is playing at the Belcourt through August 25 (see this earlier story). A closing night reception will be hosted by the Nashville Area Hispanic Chamber of Commerce on Thursday night, August 25, at 5:30 pm. A question and answer session with representatives from the local Spanish media will follow the 7:30 pm movie screening. The Tennessean reports that 15 Nashville firefighters were recently promoted to captain. Among them was one Hispanic. The Tennessean did not print any of the new captains' names. snacks (homemade "empanadas") AND a great selection of Tango music. Also...ALL BEERS FREE FROM 8 to 9 PM! mall, where the Sherwin Williams store is). $12 per person for non-Tango Nashville members. $8 per person for Tango Nashville members. The Nashville Area Hispanic Chamber of Commerce* sent out this announcement regarding the movie Cronicas, which features the story of a Miami journalist digging into mysterious murders in Ecuador. update: Closing night reception hosted by the Nashville Area Hispanic Chamber of Commerce on Thursday August 25th @ 5:30 pm. Q&A with representatives from the local Spanish media will follow the 7:30 pm movie screening. "If it is on TV it must be the truth"
The official Oscar selection from Ecuador in the Best Foreign Language Film category, Cronicas is the gripping new crime drama from sophomore writer/director Sebastian Cordero (Ratas, Ratones, Rateros). Produced by acclaimed filmmakers Alfonso Cuarón (Y Tu Mama Tambien, Harry Potter And The Prisoner Of Azkaban) and Guillermo del Toro (Hell Boy, Mimic) Cronicas stars John Leguizamo (Golden Globe nominee for Best Supporting Actor in To Wong Foo, Thanks For Everything! Julie Newmar) as Manolo Bonilla, a star reporter for a Miami-based tabloid TV show, who is determined to unearth a serial killer in a small town in Ecuador. But how far will Manolo go to get the story? An examination of journalistic ethics, the film explores the willingness of the media to surrender its morals for a shot at fame and profit. The Nashville City Paper reviewed Cronicas in this story. There are two Hispanic chambers of commerce in Nashville: the Nashville Area Hispanic Chamber of Commerce and the Tennessee Hispanic Chamber of Commerce. The Nashville Business Journal reports that Hispanic businesses grew in number from 1997 to 2002 at a rate slower than black-owned businesses but four times as fast as white-owned businesses. "Black-owned businesses soared 45 percent to 1.2 million and Hispanic-owned businesses jumped 31 percent to 1.6 million. By contrast, the number of white-owned businesses increased by only 8 percent." "The business landscape is still dominated by whites, however. Nearly 20 million of the nation's 23 million businesses were white-owned in 2002, according to the Census Bureau. White-owned businesses accounted for 4.7 million out of the 5.5 million firms with paid employees. (These numbers -- and the black numbers -- include some Hispanics.)" "Receipts, for example, averaged $77,426 for black businesses, $143,866 for Hispanic businesses and $417,395 for white businesses." Access to capital is one of the factors affecting growth, according to Small Business Administration Administrator Hector Barreto. "Loans to minorities are up 27 percent this year compared with the same time a year ago, he notes." The Chicago Tribune reports that Nashville semiretired songwriter Paul Nelson is among many Americans who are buying investment properties abroad without paying a visit. "Paul Nelson had never seen Paraiso del Mar, a resort and golf community in La Paz, Mexico, on the Baja Peninsula, before he signed a contract to buy a $200,000 beachfront condominium there. And he didn't even consider flying down to check it out before putting down a deposit." "'I thought in the very worst case, at $200,000, I'm not going to get hurt that bad,' said Nelson, 58, a semiretired songwriter from Nashville, Tenn."
"Nelson is just one of a growing number of people who are bidding on investment properties, second homes, even primary residences, before seeing what they are buying. Indeed, buyers from Las Vegas to Manhattan have recently signed deals for as much as $2.25 million to buy places they've never been in, according to local brokers and their clients." Cesar Muedas of Peru has joined the board of directors of Big Brothers Big Sisters of Middle Tennessee. Muedas has been active in the network of Hispanic professionals in Middle Tennessee. The Nashville Business Journal reports that "Multicultural Law magazine has named Stites & Harbison PLLC one of its 'Top 100 Law Firms for Diversity' for 2005." Stites & Harbison is based in Louisville and has an office in Nashville. The Nashville office has been a frequent partner with Conexion Americas. August 24, 6PM: Franklin Hispanic Chamber of Commerce mixer. 133 Holiday Court, Franklin, TN 37067. Bring a dish or bring $5. You don't have to be a member. Just come and mingle. Members from other Hispanic chambers are welcome. The Tennessean reports on the latest U.S. Census figures that show Tennessee's Hispanic population up 35% since 2000. Almost three percent (3%) of the state population is now Hispanic - which translates to approximately 167,000 people. Nationwide, Hispanics account for approximately 12% of the population. "Tennessee's Hispanic population has grown by almost 35% since 2000, giving Tennessee the sixth-fastest-growing Hispanic population nationwide, according to figures released yesterday by the U.S. Census Bureau." "The state's overall population has grown to more than 5.9 million, and Hispanics now account for about 2.8% of that number." "[T]he overall Hispanic population is ... at about 167,000." "Tennessee ranks 38th overall in percentage of Hispanics." "Tennessee's 2004 population is reported as 78.1% white, 17.2% black, 2.8% Hispanic and 1.4% Asian, according to census numbers. In Middle Tennessee, Robertson County showed the highest growth in the Hispanic population with a 95.3% increase, followed by Rutherford and Wilson counties with 78.1% and 70.1% respectively." "The number of Hispanics in Davidson County grew 37.6% to an estimated total of 35,889, the largest Hispanic population in the Midstate." "Tennessee's Hispanic population was historically low, but it grew by 286% through the 1990s," according to William Frey, a demographer with the Brookings Institution in Washington. "Recent numbers show that growth is still occurring, but Frey thinks the state's total Hispanic percentage is still low because Tennessee has attracted many other populations as well." "The Hispanic population in Bedford County has grown by 61%, and Bedford County Schools Superintendent Ed Gray said he expected 14% of this year's student population to be Hispanic. The school system of 7,100 students has eight teachers in its English Language Learner program." "Especially in areas where the Hispanic population is low, schools and state agencies have to step up and provide the services needed by the changing demographics." "'It's the wrong assumption that, because the overall population is low, that no effort is needed,' Frey said." August 18 is the deadline to have your listing in the Spanish yellow pages. Contact Amy Phillips aphillips@cobaltpublishing.com, 615-793-9632 to get your listing in. The Tennessean Religion Calendar lists a media presentation about East Brentwood Presbyterian Church's recent mission trip to Tamariz, Guatemala from 6-8 p.m. August 24. A potluck dinner will be held from 6-7 p.m. The church is at 9000 Concord Road in Brentwood. Contact 370-4227. The Tennessean reports on the congregation and hiring of day laborers at Thompson Lane and Murfreesboro Pike, and the community's different opinions about how to disperse them. The Tennessean article doesn't quote anyone who disagrees that the workers should stop gathering there. The Nashville City Paper also reported on the proposals. "Clad in paint-stained blue jeans, bandannas and baseball caps, the men gather before sunrise at Thompson Place and Murfreesboro Pike, waiting for daily work." "They talk on their mobile phones, read the Spanish-language newspapers, sit on a bus bench or stand by the gas station. They buy breakfast from the Mapco Express or from a young woman who sells dollar cups of Jell-O." "And they wait. They wait for someone to drive up and offer them a day's pay for a day's work, usually in the construction or landscaping trades." "The crowd of Hispanic men, counted on a recent midmorning at 42, is a deterrent to business development and makes the area unsafe, according to some community members who want Metro to stop the workers from gathering there." "Kirby Davis, president of the Thompson Lane Murfreesboro Road Action Group, said the safety issue, 'whether it's real or perceived,' creates a bad impression of the neighborhood and may be discouraging business growth." "The issue has been talked about for at least a year among neighborhood leaders. A Metro councilman has proposed a new law aimed at breaking up the daily gathering. An alternative proposal also is being floated to establish a center where workers and employers could meet safely and talk shop in a more organized manner." "Neighborhood discussions about starting a worker center foundered last summer because of funding issues. But recently, Yuri Cunza, president of the Nashville Area Hispanic Chamber of Commerce, said his group is looking for a physical space for such a center and would consider paying for it." "Nashville subcontractor Rodolfo Guerra, 29, speaking through a translator paid for by The Tennessean, said he supports the idea of a worker center. Guerra said he worked his way up as a day laborer, personally having to look for work in the street. His business employs 10 people on an ongoing, not day-to-day, basis, said Guerra, who is from Mexico." While the Tennessean article focuses exclusively on male day laborers, today's New York Times contains an interesting report on female day laborers in the U.S.
For more information about day laborers in Nashville, see the previous Hispanic Nashville Notebook entries for August 3 and July 18, 2005. (Morristown, TN) In an effort to turn back the rising flames of anti-immigrant sentiment that have threatened to engulf the eastern region of the state, community leaders will come together on the Hamblen County Courthouse steps at 1:00 pm on August 13, 2005, to call for tolerance and human rights for local immigrants recently targeted by local anti-immigrant hate groups such as the Tennessee Minutemen and the Ku Klux Klan. Alarmed by recent hate crimes, such as the July indictment of an East Tennessee ex-Klan member who was caught in a plan to plant pipe bombs under buses transporting Hispanic migrant workers (click here for that story), Alianza del Pueblo, a local Hispanic advocacy center, is leading a community effort to demonstrate support for tolerance and diversity over hatred and division. The rally will feature speakers from the immigrant, African American and Native American communities, as well as from the broader Morristown community. The recent wave of violence, intimidation and anti-immigrant hate speech in the area has horrified many local leaders and the immigrant community, many of whom are now afraid when they go to work or frequent public spaces. "Local Hispanic families are increasingly living in fear," said Santos Aguilar of Alianza del Pueblo. "Immigrants in Tennessee contribute millions of dollars to the state's economy, pay taxes and support local businesses. If you are working hard, and contributing to the community, you shouldn't have to live like this," added Santos. Tennessee is at the center of a national trend in which Southern states have seen the fastest growth in the Hispanic population between 1990 and 2000. These hardworking immigrant families have contributed greatly to Tennessee's robust economy, but often in small towns and rural areas with limited previous experience with immigrants. In the midst of this chaos, some local public figures are adding fuel to the anti-immigrant fire, choosing political expediency over community cohesion. For example, Hamblen County Commissioner Tom Lowe - who has publicly declared his support for the Tennessee Minutemen on numerous occasions - stated to the Associated Press in late July: "We could be two or three aliens away from an epidemic that would sweep through our county and state." Another political hopeful, Carl "Two Feathers" Whittaker - a self-proclaimed Native American Activist who ran for Governor in 2002 and will be running as a Republican next year - claims to be one of the leaders of the Tennessee Minutemen. Most Native Americans in the state have scorned Mr. Whittaker, and several will be on hand at the rally denouncing Whittaker and the efforts of the Minutemen. "TIRRC is dismayed, but not surprised that white supremacist hate groups are adding violence to their repertoire of tactics targeting immigrants and refugees. This is the direct consequence of a massive assault against immigrants that is sweeping the nation and our state. Anti-immigrant rhetoric saturates the airwaves, vigilante groups such as the Minutemen take the law into their own hands and spread fear, and politicians scapegoat immigrants instead of finding real solutions to the country's problems. We are truly fortunate that this incident of violence was deterred, but we may not be as fortunate next time." Cecilia Muñoz, Vice President of the Office of Research, Advocacy, and Legislation of the National Council of La Raza (NCLR), the nation's largest Latino advocacy organization, agrees that anti-immigrant hate speech has recently risen at a disturbing rate across the country. She believes that it is crucial for communities across the country, such as Morristown, to unite against hateful rhetoric, and against the violent actions that could follow. As she states, "Tactics like intimidation, violence, threats, and the spread of fear, hatred, and divisiveness are not conducive to the kind of rational, reflective debate that will produce solutions to these complex issues." NCLR has helped the planners of the event in Tennessee obtain hundreds of white ribbons, which represent opposition to violence and hate against any group, including immigrants. These ribbons will be handed out at the rally, and will be distributed across Tennessee as part of a statewide white ribbon campaign being coordinated by the Tennessee Immigrant and Refugee Rights Coalition. The College of Social Work at The University of Tennessee would like to announce “The Support for Future Hispanic Professionals Program (SFHP)”. We at the University have established a program that provides financial support to students originally from other countries who are interested in obtaining a Masters Degree in Social Work (MSSW) and becoming professional social workers. In the United States social workers may engage in many different professional activities. For example, they may manage social service organizations, provide counseling and therapeutic services, become case managers, or manage government agencies. In fact, many social workers hold important positions in both the state and federal governments. We understand that navigating the path to earning an MSSW and becoming professional social workers may be unfamiliar to the newest members of our community, so we have prepared faculty and staff to provide information and answer any questions you might have. Please feel free to call Marlen Santana Perez, MSSW Student or Dr. Rodney A. Ellis, Ph. D. at 256-1885 if have questions about social work, the educational process, financial aid, or any other aspect of the process of becoming a professional social worker. Conexion Americas will host its Sixth Legal Clinic for the Hispanic community on August 20, from 9:00 a.m. to 1:00 p.m. at the Conexion Americas offices in Nashville. Nashville attorneys will be present to address cases regarding immigration, family issues, employment, automobile accidents, small businesses, and consumer abuse. The clinic will be free and in Spanish. For more information and to set up an appointment at the clinic, applicants can call Conexion America's Spanish-language help line at (615) 269-6900 until August 12. Appointments will be limited by availability and will be given out on a first-come, first-serve basis. The Tennessean put Mexico on its front page yesterday in two pictures related to the Perry March story. March, a former Nashville attorney, was recently deported from Mexico on charges that he murdered his wife and disposed of her body nine years ago. March had moved to Ajijic, Mexico and remarried after the disappearance of his wife. The pictures on the front page of the Tennessean were of March's wife leaving a government agency and of a cafe owned by March, both in Ajijic. "Jafra Cosmetics International recognized individual and team efforts at its incentives summer trip this year entitled, 'Refleja Tu Exito' (Reflect your Success), held in Nashville, Tenn. USA. More than 300 of the company’s independent consultants to celebrated their year-long accomplishments with Jafra executives, management team, and nationwide peers. The company says this year’s event, for which Latina women are celebrated and pampered, is also cornerstone to hearing inspirational speakers." "'This conference provides our consultants, from all walks of life and origins, a unique opportunity to gather for the purpose of learning more about current Jafra announcements, programs, services and products being launched,' said Melba Rios, vice president, Jafra Hispanic USA." "'This year's theme, Refleja tu Exito, sums up what Jafra seeks to achieve: the foundation of our commitment to help Hispanic women and their families continue to advance in their personal and professional lives through direct-selling.'" "Other recognitions include ... the new 'Mi Oficina Jafra' (My Jafra Office) small business outside of the home program recipients and this year's first non-profit organization recipient, Through the Kitchen Door International, under 'Jafra: Hand in Hand with the Hispanic Community' annual grant program." New Spanish-language training materials were also announced. Conexion Americas will host its last Avance! meeting of 2005 this Tuesday, August 9. Avance! is a continuing business education program for Hispanic entrepreneurs and businesspeople. We are on our way to our fourth and last Avance! meeting on Tuesday, August 9 at 6:00 p.m. at Belmont University Massey Business School. As always you are invited to attend. The topic for this session is: "How to effectively Promote your Business". As always, we will begin with a presentation of guest speakers knowledgeable in the field talking about the basic concepts of Marketing, what are promotions and how to use them, how to deal with the media and taking advantage of grassroots marketing. At the end of the session participants will take home a "10 basic tips to market your business effectively and without a lot of money" cheat sheet. Maitane Z. Tidwell - Inclusive Communications, LLC. Marcela Gomez - Hispanic Marketing Group, LLC. Some of our media partners such as La Campana, Enlace Latino, La Sabrosita and Telefutura/Solo Nashville have also been invited to attend this session so that participants can also meet them and get a first hand perspective of what it takes to advertise on Hispanic media. Please let us know if you would be attending and/or if any of your staff would like to attend. The Nashville City Paper reports that the Lingo Guide, a bilingual phrase book for the construction industry, has been picked up for distribution by the giant wholesaler Ingram Book Co., based in LaVergne. "Ed and Tina White wrote and self-published the English/Spanish translation guide as a way to help Ed communicate with Hispanic members on his crews. The book contains phrases specific to construction, culled from White's 15 years of doing remodeling projects in Nashville." "The Whites didn't seek out Ingram; the wholesaler approached them after reading about the guide in the June 8 edition of The City Paper." "Within a week after submitting the book for review, the Whites were informed that Ingram's supplier relations department had welcomed the book into the Ingram family. Now, the Whites will work with an Ingram buyer to market the book to Ingram's vast network of retail accounts, Tina White said." Forbes reports that Nashville-based Corrections Corporation of America may benefit from an expected increase in the incarceration of expatriates, either for holding pending deportation or for criminal sentences. "Saddled with thousands of empty beds, CCA teetered near bankruptcy before new federal contracts helped it rebound. Since 2000, the Nashville, Tenn.-based company has doubled its number of federal prisoners to 18,200 - 29 percent of its overall inmate population. " "Business is certain to grow. Bureau of Prisons spokeswoman Traci Billingsley said the number of federal inmates is expected to rise from 185,000 to 226,000 by 2010, with private companies likely to be relied on for housing non-citizen immigrants convicted of federal crimes." "The number of people detained by U.S. immigration officials also is increasing rapidly - up three-fold in the past 10 years to more than 21,000 at a given time. In December, Congress passed a terrorism prevention bill calling for 40,000 additional beds by 2010 for aliens awaiting deportation." "As Karen Hughes, the incoming undersecretary of state for public diplomacy, begins the task of trying to improve the U.S. image abroad, one area of concern is Latin America. Relations with most countries in this region have been close and friendly, but there are some challenges emerging." "More recently, the threat of terrorism and combat in Iraq and Afghanistan have focused U.S. policy on the Middle East. Vera Kutzinski, director of the Center for the Americas at Vanderbilt University in Nashville, Tennessee, says that, as a result, the United States has neglected its neighbors." "'The United States has not really been paying as much attention to Latin America and the Caribbean as it might have,' she says." "She says U.S. influence has waned and challenges to U.S. policies in the Americas have grown. She says Karen Hughes should take a good look at what has happened in the region, not only to bolster the U.S. image there, but also to see what has worked and what has not worked." The Nashville City Paper reports that the Tennessee State men's basketball team will play two exhibition games in Costa Rica starting August 25. The Nashville Metro Council was scheduled to debate a bill yesterday prohibiting the solicitation of employment from either a street or a vehicle; the proposal is targeted at day laborers, many of whom are Hispanic (see the July article in the Hispanic Nashville Notebook on this subject). The Tennessean reported on a slew of decisions yesterday by the Council, but the employment bill is not among them. A Metro Council analysis of the proposal (search for 728) indicates that "[t]he Metro Code already prohibits persons from standing within the Metro right-of-way for purposes of soliciting employment or contributions, but does not extend to persons seeking out workers." The law is not limited to Hispanic workers or their prospective employers. The Nashville Business Journal reports that Tennessee's federal legislators voted 6-3 to facilitate trade with Central America via the CAFTA-DR treaty. "The Central America and Dominican Republic Free Trade Agreement (CAFTA-DR) passed in the U.S. House of Representatives by two votes early Thursday with support from six of Tennessee's nine representatives." "Republicans Marsha Blackburn, John Duncan Jr., William Jenkins and Zach Wamp voted to pass the bill. Democrats John Tanner and 5th District Congressman Jim Cooper also supported the bill." "Democratic representatives Lincoln David, Bart Gordon, and Harold Ford Jr. voted against CAFTA-DR."
"Key to the trade agreement is the two-way elimination of tariffs between the United States and five Central American countries." A more in-depth report on KnoxNews.com quoted the supporters as saying that CAFTA-DR would help Tennessee businesses and reduce illegal immigration from Central America. The opponents say they fear jobs will be lost in the U.S. in favor of cheap Central American labor. Businesses gave differing opinions of the trade agreement in this bizjournals.com article. The Tennessean reported Saturday that Congress voted to give an additional $100 million to TDOT for the West Tennessee portion of Interstate 69, which will connect Canada and Mexico. "The bill would give TDOT an extra $100 million in funding for the portion of Interstate 69 planned for West Tennessee. The new interstate, nicknamed the 'NAFTA Superhighway,' would stretch from Canada to the U.S.-Mexican border when completed." "The House adopted the bill yesterday in a 412-8 vote. Later in the day, the Senate passed it 91-4. The measure now goes to President Bush for his signature." "Organized hate groups like the Ku Klux Klan have historically terrorized blacks and Jews in the Southeast. But the recent influx of Hispanic immigrants to the region has given hate groups a new target, and officials say Hispanics are increasingly targets of hate crimes." "Former Klansman Daniel Schertz, 27, from the southeast Tennessee town of South Pittsburg, was indicted in June on charges of building pipe bombs to kill Hispanic immigrants." "Imperial Wizard Billy Jeffery of the North Georgia White Knights denied any connection to the bomb plot and said he banished Schertz from the group, but he readily admits he isn't happy with the flow of immigrants to the region." "The Southern Poverty Law Center's Intelligence Report counted 762 active hate groups in the United States in 2004. South Carolina had the most, 47, and Tennessee had the most Klan chapters, 13."